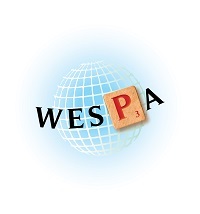 Formed in 2003, WESPA (the World English Language Scrabble® Players Association) provides an official structure for the international Scrabble community. We support Associations with internationally recognized rules and a ratings system whilst promoting a global calendar of Scrabble events designed to cater for players of all ages and levels. Click on the NEWS tab above for more news about the Global Scrabble® scene. WESPAC is going to Goa!